How is movement play related to all areas of development? Physical. Movement is at the core of your baby’s physical development. 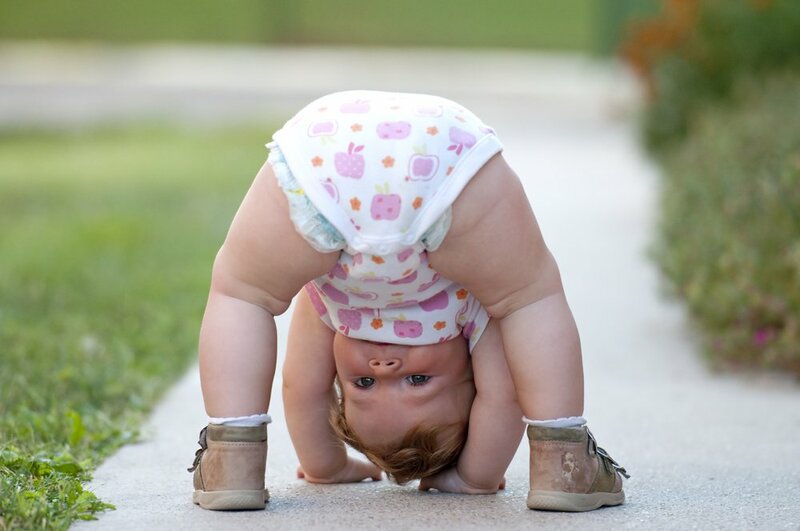 With it your baby will learn coordination, balance, fine and gross motor skills, etc. Linguistic. For this area, we’ll consider early communication. It is through movement that your baby will understand the importance of body language and to use her body to convey messages. “Movement conversations” include eye contact, interaction using facial gestures, touching, etc. Aside from body language, it’s thanks to movement that your little one will begin to learn the name of the body parts and important verbs such as sit down, pick up, etc. Social and emotional. Most of the time understanding how to communicate, socialize, and make friends revolves around some sort of physical activity. It’s through games that children learn rules (what’s accepted and what’s frowned upon), learn to read facial expressions and body language. Cognitive. Early movement play and physical development will serve as the bases that your baby need in order to deal with later academic demands (such as eye movements for reading, hand coordination for writing, etc.). It’s important to understand that in early childhood development these areas of development are interconnected, they overlap, and when your baby is learning something related to one, it has an impact on all the others. Next time you want to give movement play a try, make sure you provide a safe and supervised space where your baby can spontaneously move, express herself, and be able to organize and dictate her own movements. Remember you can always find ideas and inspiration to encourage movement play in Kinedu!